The Mercedes-AMG E63, a car designed to sit in the fast lane of the Autobahn pushing against its 250kph limiter, scaring other cars out of its way as it dispatches kilometres and effectively shrinks Germany. To be suited to such a task all the E63 really needs is a powerful engine and a relatively pleasant interior. 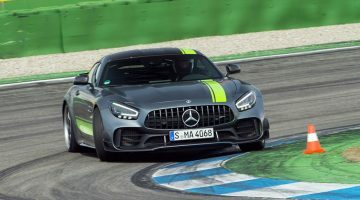 However, no one told the engineers at AMG’s Affalterbach HQ, because as well as both of those attributes, Merc’s big supersaloon is as gifted down a tortuous B-road as it is on a derestricted highway. It might well be long and heavy, but it’ll move with the agility of a car 600kg lighter while being thoroughly entertaining in the process. 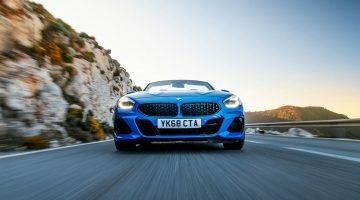 Much of the new car’s vast range of abilities can be attributed to its new four-wheel drive system, a trait that means the latest big AMG doesn’t fit the mould created by previous generations of E63 that we got in the region. But the all-wheel drive system has granted the E63 S Saloon another trick: an incredible 0-100kph time of 3.4sec. If you still object to the idea of an four-wheel drive AMG, and you think your V8-powered supersaloon should be for vapourising rear tyres, the more powerful E63 S allows you to disengage the front axle and run it rear-wheel drive only. What’s more, the E63 is available as a über-practical estate. Is there anything it can’t do? Purists and connoisseurs of sports saloons of old were appalled by the introduction of four-wheel drive on the E63 – cynics would argue the Drift Mode (the rear-wheel drive only setting) on the S is just a gimmick to placate fans of the old-style oversteering powerful saloon cars. But the results of the all-wheel drive are clear when you look at the acceleration times. Officially, the 1880kg saloon accelerates from 0 to 100kph in 3.4sec. When we timed the E63 S with our own gear, we recorded a 0-100kph time of 3.4sec. That’s 0.1sec faster than the 0-100kph time we logged in a Ferrari 599 GTB or a F430 Scuderia. And that’s in a big saloon car. The non-S E63, with 41bhp less, to no one’s great surprise, is a little slower. But only just, it officially reaches 100kph in 3.4sec, 0.1sec behind. The Estate versions are also 0.1sec slower than the saloon equivalents. All cars have a limited top speed of 250kph. Since its first appearance in the AMG GT, Mercedes-AMG’s 4-litre twin-turbo hot-V V8 engine has become ubiquitous throughout the range. Not only does it appear in all the GTs, from S to R, you’ll also find it in the C63, S63, GLC63 and, of course, the E63. The same engine is used in both the S and basic E63, however AMG has turned the wick up on the S’s motor so it puts out 604bhp between 5750 and 6500rpm and 627lb ft of torque between 2500 and 4500rpm. The regular E63 might not be quite as ballistic, but its output is still mightily impressive. Max power is 563bhp from 5750 to 6500rpm while torque is 553lb ft from 2250 to 5000rpm. The power disparity isn’t the only drivetrain difference between the E63 and E63 S. The more powerful car has an electronic locking differential instead of a purely mechanical version, and it also gets a switchable four-wheel drive system. 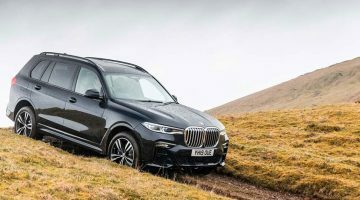 With the traction control turned off, the car set to its Race mode and after you’ve pulled both of the steering wheel’s paddles, you then confirm the switch to rear-wheel drive, or Drift Mode, with a pull of the right gear change paddle. All current E63s use a nine-speed automatic gearbox that Mercedes calls Speedshift MCT. However, rather than employing a torque converter to transfer drive from the engine to the transmission, it uses a pack of ‘wet’ clutches. If you look at the E63 as a practical five-seat saloon or vast estate car, then it is not a cheap car to run. Think of it as a rapid, viciously accelerating missile of a car, which it is, then it’s amazingly cost effective. Officially, the big AMG, in both regular and S forms, can achieve 9.11L/100km on a combined cycle. The estate versions, which are 105kg heavier, aren’t quite as economical, and they achieve 9.38L/100km. Those figures might not be spectacularly economical, but they’re not dissimilar to that of a brand new diesel-powered 187bhp Mitsubishi Shogun, car that absolutely couldn’t make use of a Drift Mode even it had one. While on the subject of Drift Mode, if you’re going to partake in the sort of sideways shenanigans it encourages, you’re going to wear out the rear tyres rather quickly. A pair of 20-inch 295 section 30 profile Michelin Pilot 4 S tyres for the back wheels will set you back around $730. The 265/35 20 fronts are cheaper, around $660 a pair, but it’s unlikely you’ll need those quite as frequently. The E-class’s interior is a mix of well-placed ergonomically pleasing controls, proper materials (like aluminium, leather and wood) and the sort of trinkets you might expect on an expensive Mercedes, like coloured interior lights, wide LCD screens and fancy analogue clocks. Despite being an AMG, however, there aren’t many overtly sporty elements within the interior; a steering wheel with a mark at 12 o’clock and faux suede sections for your hands, and an AMG badge on the centre console are the most obvious. A pair of modular front seats are optional on both the S and regular E63 and certainly make the interior look more purposeful. They aren’t as softly padded as the regular items, so if you’re seeking optimum cosiness they won’t be for you, but the AMG performance seats hold you better and keep you from sliding around so they’re far from uncomfortable. Depending on your outlook, the E63 – especially the non-S with its 19-inch wheels – is either too demure and not aggressive enough, or it’s the perfect sleeper, looking much like a well-specced AMG Line E-class just with a different grille. There aren’t any bulging arches, massive spoilers or garish badges on the outside of the E63. All you get are four square exhausts and a small lip on the boot at the back, some larger inlets in the front bumper, a more minimal grille and a few subtle AMG badges. The noise emitted from the exhausts attracts more attention and make it obvious it’s no ordinary E-class far more than the styling. Those wanting the subtlest version should opt for the Estate – no one ever expects a wagon to move as fast as the E63 can shift. Just a fraction less than $108,280 will buy you a basic E63, a non-S model in saloon form. But if you want more space, more performance or both, there are options. For an extra $2700 you can get the incredibly practical E63 Estate, with the same 563bhp twin-turbo V8. Greater performance costs significantly more, however. The E63 S, with 604bhp, a 0.1sec faster 0-100kph time and a switchable four-wheel drive system, costs $120,850 – $12,670 more. Again, like the basic car, an extra $2700 can turn the S into a wagon. There’s one clear rival to the current E63, as there has been for every big AMG saloon, and that’s the BMW M5. Like the Merc, the BMW has a twin-turbo hot-V V8, an automatic gearbox and four-wheel drive that can be switched to rear-wheel drive at will, just like the E63 S. Despite having 0.4-litres extra engine capacity, the BMW doesn’t quite match the E63 S’s 604bhp, but sits ahead of the non-S with 592bhp. Both cars are so close on paper that you couldn’t guess a winner between the two, so we’ll have to get them both together to reach a proper verdict. The BMW doesn’t come as an estate, or Touring in BMW parlance. The E63’s other, less obvious rival, the Porsche Panamera Turbo, is available as a saloon and estate. The Porsche’s twin-turbo hot-V V8 engine (clearly the must-have engine for any modern super saloon) is down on power compared to the E63, even the non-S. The Porsche puts out 542bhp, in both saloon and Sport Turismo (estate to you and I) bodystyles. However, despite lacking the firepower and feeling a little dumpier than the Merc, on the road there’s very little difference in terms of pace. When we got them both together, it was the AMG’s more natural dynamics that helped it come out on top.